First, the State Bank of India issues an intriguing statement out of the blue Tuesday afternoon. 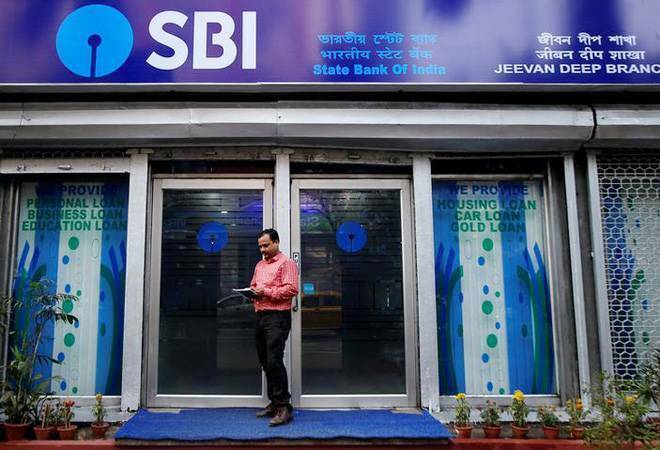 Titled "SBI triples the target for purchase of loan portfolio", the statement says India's largest bank has stepped up its target to purchase "good quality portfolio of assets from NBFCs" as it believes that there is good opportunity to expand its loan portfolio at attractive rates. The bank's target had been raised from Rs 15,000 crore to up to Rs 45,000 crore during the fiscal. Bankers' and accountants' WhatsApp groups began buzzing soon after. Questioning, speculating, analysing, at times, even justifying the move unilaterally. Intriguing! Had the bank just woken up to the reality of buying out bad loans in the market? Had the government arm-twisted SBI and may be other PSU banks into buying NBFC loan portfolio? Or, was this all a ruse to cool the markets already spooked by rumours that the NBFC sector-particularly housing finance firms-were hiding significantly larger NPAs than reported? The Big Daddy of banking was descending to save the NBFCs too! If there was any doubt about who was behind SBI's sudden move, it was put to rest in less than an hour-54 minutes to be precise-when economic affairs secretary Subhash Chandra Garg synced his tweet with SBI's statement, almost verbatim: "SBI today stepped up substantially a facility for purchasing portfolio of assets from NBFCs to provide liquidity to NBFCs. SBI would buy such portfolios up to a total amount of Rs 45,000 cr. This measure should alleviate liquidity concerns to a great extent". SBI today stepped up substantially a facility for purchasing portfolio of assets from NBFCs to provide liquidity to NBFCs. SBI would buy such portfolios up to a total amount of Rs. 45000 cr. This measure should alleviate liquidity concerns to a great extent. If there was any evidence required about how the country's two biggest cash-rich financial institutions-SBI and LIC-are being remote-controlled from the Centre, this is one for sure. But marshalling independent institutions as instruments of policy-making is fraught with danger. Short-term, myopic moves to dip into their reserves could cripple such institutions to such an extent that they could become incapable of handling their own affairs and finances-forget about salvaging other failing organisations. Since the government is their owner, they are in no position to protest or push back. But consider how decisions are being forced. SBI is still to digest the merger with the Mahila Bank and the 5 associate banks. Bank of Baroda is the white Knight for Vijaya Bank and Dena Bank. LIC is saving IDBI Bank. Perhaps, even IL&FS will be revived with active financial and managerial help from the LIC-SBI combine. Remember, last fiscal ONGC was made by buy HPCL which wiped out nearly all of its reserves. The question is how much will LIC and SBI spend on managing failing institutions! Centre has been nervous ever since the markets began gyrating to the rumours of an imminent collapse in the housing finance industry. Some within the government believe a conspiracy is brewing in the markets and among operators to scuttle the ruling party's chances in the upcoming state elections in Madhya Pradesh, Rajasthan, Chhattishgarh, Mizoram, Telangana. Garg may have intended to soothe the nerves in the market about NBFC liquidity but it has sparked concerns about arm-twisting SBI. Perhaps, other PSU banks may follow. Neither of which is unfounded.